Dr. Willis is board certified in Neurology. Medical degree: University of Virginia in Charlottesville. Dr. Dohmeier is board certified in Neurology and Sleep Medicine and serves as medical director of the Piedmont Sleep Lab. Medical degree: University of Hamburg in Germany. Fellowship: Pediatric Neurophysiology at Children's Hospital in Columbus, Ohio, and in Sleep Medicine at Wake Forest University Baptist Medical Center. Dr. Sethi is board certified in Neurology and Neuroimaging and serves as medical director of the Stroke Center at The Moses H. Cone Memorial Hospital. Dr. Yan is board certified in Neurology and serves as medical director of the neurophysiology lab at Guilford Neurologic Associates. 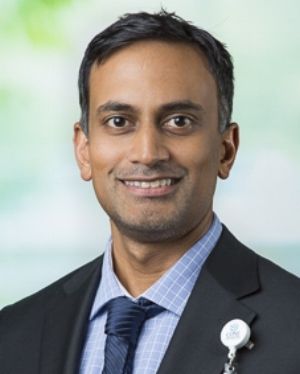 Dr. Penumalli is board certified in Neurology, Neurophysiology and Neuroimaging and serves as President of Guilford Neurologic Associates. Dr. Athar is board certified in Neurology and Sleep Medicine. Dr. Xu is board certified in Neurology. Dr. Ahern is board certified in Neurology. Neurology residency: and fellowship in Clinical Neurophysiology at Georgetown University Hospital. Fellowship: Clinical Neurophysiology at Georgetown University Hospital. Dr. Sater is board certified in Neurology, Clinical Neurophysiology, Neuroimaging, Pain Medicine and Sleep medicine. He is the medical director for The MS Center at Guilford Neurologic Associates and serves as Vice-President of Guilford Neurologic Associates. Ms. Martin graduated with honors from The UNC at Greensboro School of Nursing's Geriatric Nurse Practitioner Program. She is a member of Sigma Theta Tau, International Honor Society of Nursing. Mrs. Millikan graduated from UNC at Greensboro’s School of Nursing and Adult / Gerontological Nurse Practitioner Program. She is a member of Sigma Theta Tau, International Honor Society of Nursing and the American Association of Nurse Practitioners. She serves as clinical manager of Guilford Neurologic Associates.